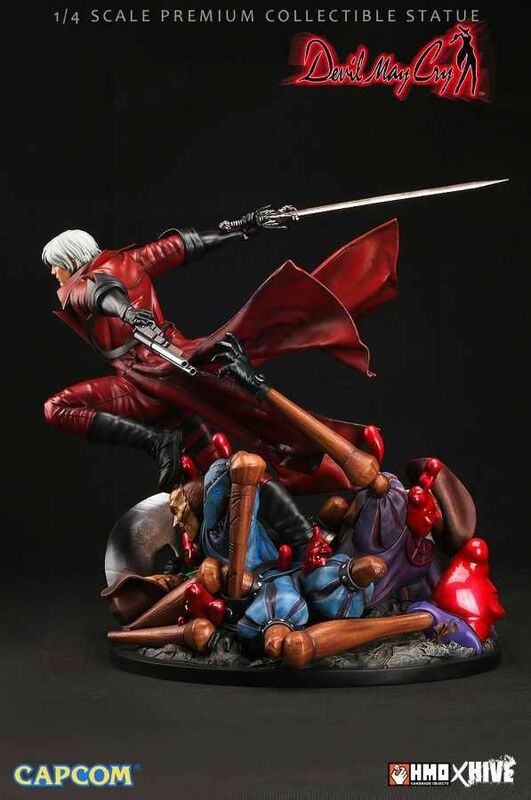 HMO collectibles with the collaboration of the highly talented Studio HIVE is proud to present DANTE from CAPCOM’s Devil May Cry series and they are very excited to add this to thier Gaming Legends line along side the other legends of video games that have shaped the entertainment world we live in today. 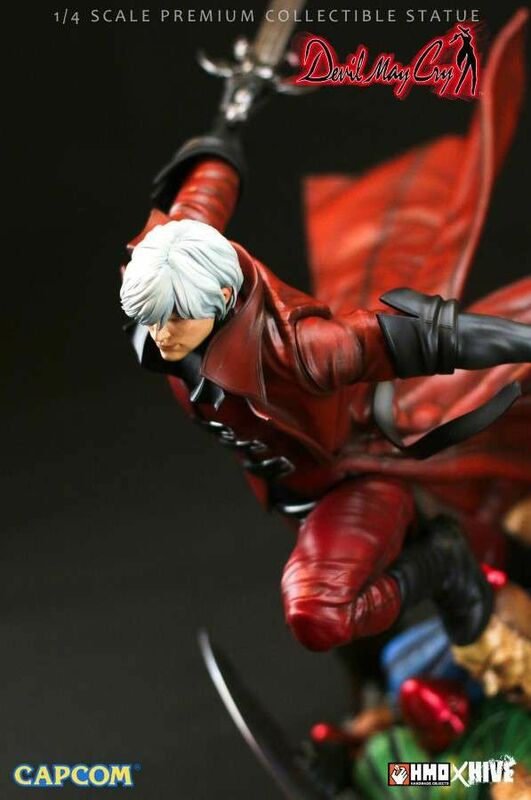 Dante is depicted in his original iconic costume from the pilot series and he comes with an action pose and all the bells and whistles of a premium quality collectible statue. 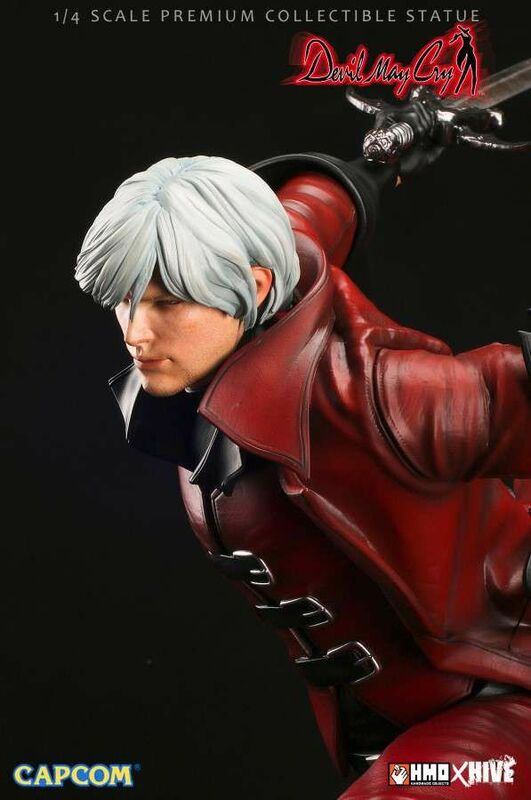 Dante, the main protagonist of the Devil May Cry video game series is the second son of the Demon Sparda with his mother being the human Eva and the younger twin brother of Vergil. 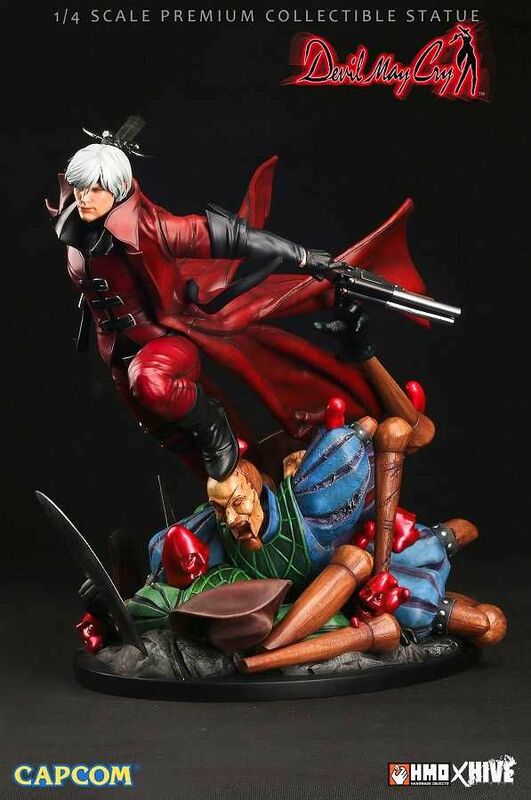 With his Silver hair and his Icy-blue eyes, Dante is a paranormal mercenary, private investigator and vigilante Devil Hunter dedicated to exterminating evil demons and other malevolent supernatural forces and he is led on a mission to pursue those that killed his mother and corrupted his brother. 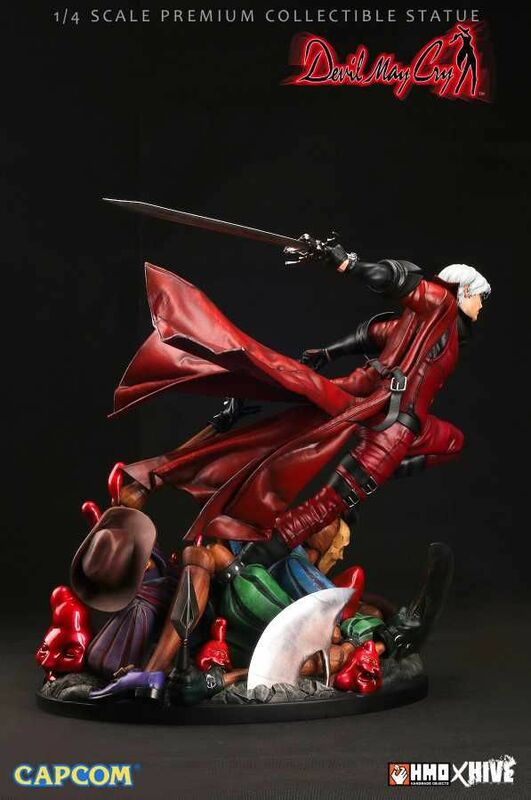 Dashing forward after his battle with the Marionettes, Dante does not skip a heart beat in pursuit of his destiny and this statue embodies everything that is Dante, from the accurate representation of the marionettes scale and details to his posture and the flow of his iconic jacket and HMO put in extra care and attention towards the details when producing this masterful piece of art. 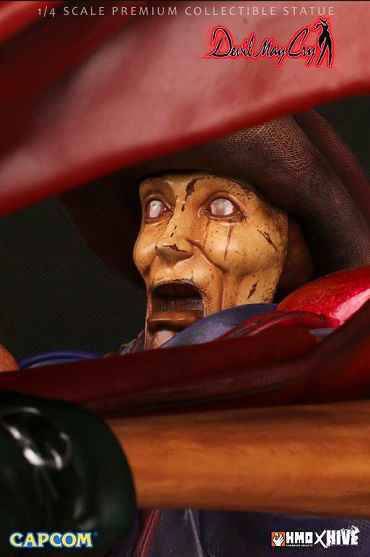 By utilising a special paint application, the Orbs that are extracted from the defeated marionettes glow when the right light is used in your display case making the piece stand out and it demands attention in your collection. 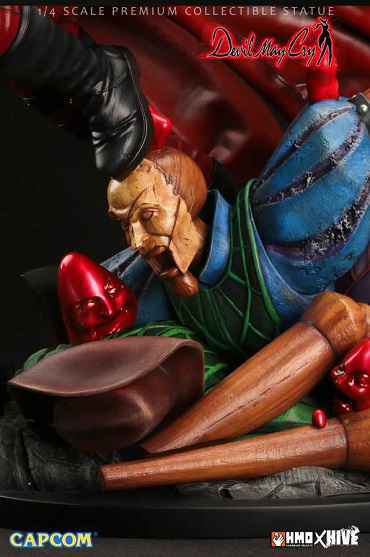 Measuring at an impressive size of 20.5" tall, Dante is an instant classic! Limited to just 400 pieces worldwide. License: CAPCOM Japan, Sicom Amusement Co.